Spacious one story home in the desirable Arbor Lake addition! 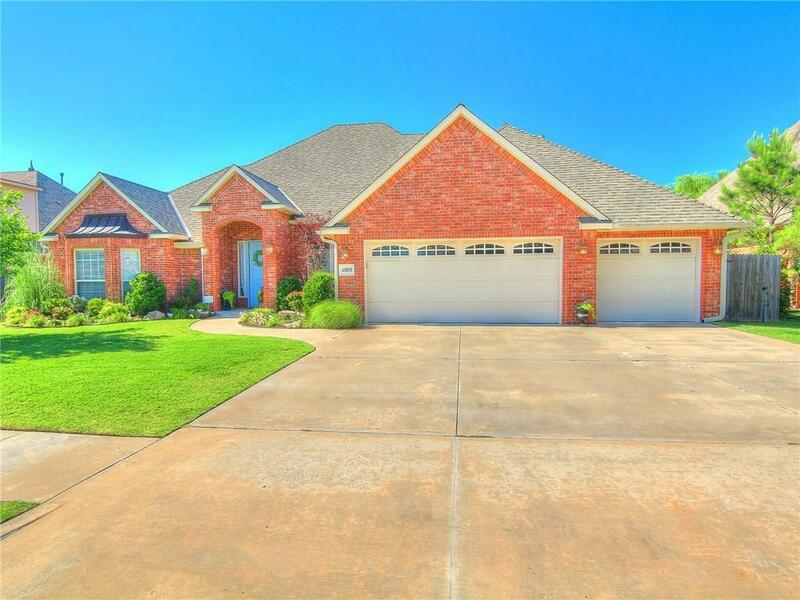 Offering 4 bedrooms, 3 full baths, 2 living areas, and a formal dining room! Large, open kitchen provides a gas range, granite counters, built in wine rack, stainless steel appliances, breakfast bar seating, and dining space and is open to the large family room. Family room features vaulted ceilings, a gas fireplace, and plenty of room! The 4th bedroom has a wall of built-ins and a lovely bay window, an ample closet and is adjacent to a full bath; would also make a perfect study! Oversized master bedroom is complete with a large en-suite bathroom featuring granite counters, double sinks, large tub and separate shower. The walk in closet is huge and includes a large built in dresser! Two bedrooms on the opposite side of the house share a bathroom and are located near the extra large laundry room. The backyard has plenty of room for a pool and a large covered patio.